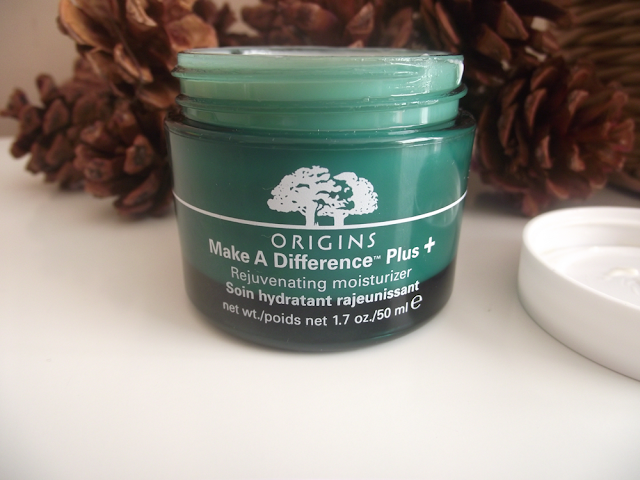 Today I have a new skincare product which I want to share with you all, the Origins Make A difference Plus+ Rejuvenating Moisturiser certainly lives up to it's name! 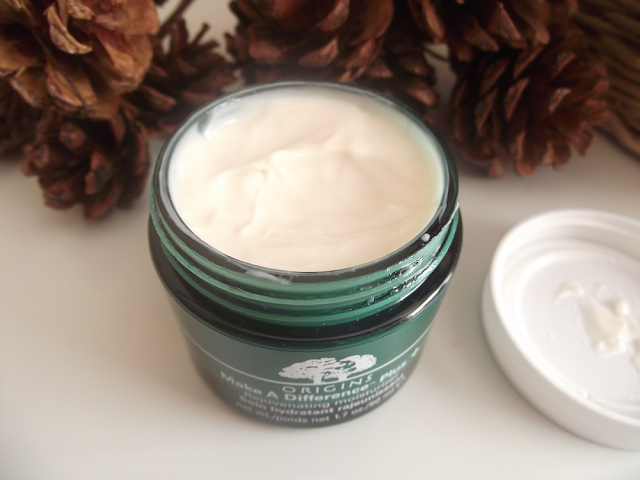 A great treatment moisturiser which helps rejuvenate the skin. A must for this time of year, we want our skin to still look healthy and glowing which can be difficult through the winter months. I'm a huge fan of the Origins Night-A-Mins, and think they both have similarities. The texture and scent of them both are very familiar in my opinion. Because I have combination skin I sometimes suffer from that dull sluggish look, my skin doesn't have that natural glow or radiance which I long for. I would love to have great skin which allowed me to just get away with a BB Cream but at the moment my skin has been a little dry and dull. 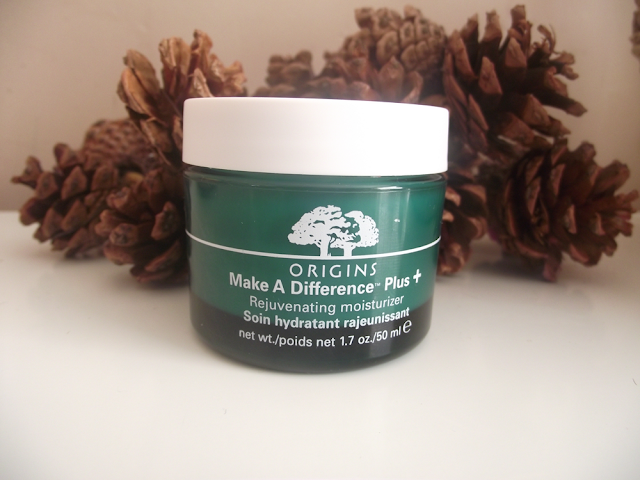 Since using the Make A Difference Plus+ Moisturiser I've noticed how my skin look hydrated and feels more plump. My foundation isn't sitting in certain areas on my face either. I've been using this every other day and have been really impressed with the results. There's actually three versions of the cream depending on your skin type and needs. The Rejuvenating Moisturiser version which I have is perfect for combination/dry skin whilst the Rejuvenating Treatment is best for combination/oily skin types. However if you have majorly dry skin fear not because the Ultra-Rich Rejuvenating Cream is perfect for dry/ very dry skin types. If you're on the look out for a new treatment/moisturiser I would thoroughly recommend you try this, pop to your local counter and speak to a consultant. My local Debenhams has just opened up it's very own Origins counter which is fantastic news! Will you be checking out the new Make A Difference Plus+ range?